The 25th Annual Tribute to Women of Achievement of Orange County was held at Anthony's Pier 9 in New Windsor, NY on Wednesday, May 19, 2017. 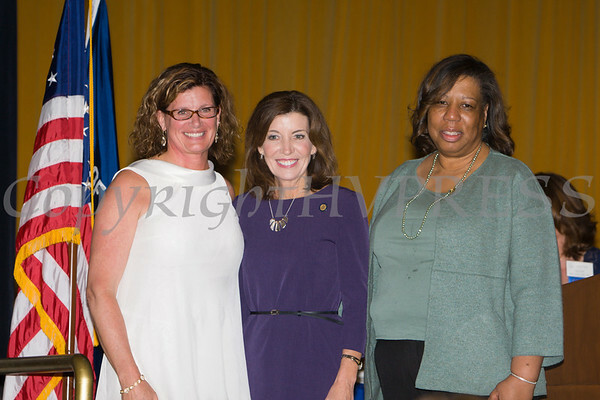 YWCA Orange County Executive Director Christine Sadowski, New York State Lieutenant Governor Kathy Hochul and Girl Scouts Heart of the Hudson CFO and Acting CEO Patricia Page at the 25th Annual Tribute to Women of Achievement of Orange County held at Anthony's Pier 9 in New Windsor, NY on Wednesday, May 19, 2017. Hudson Press/CHUCK STEWART, JR.